This pouf square from the Moe's Home Collection is the perfect addition to any home. 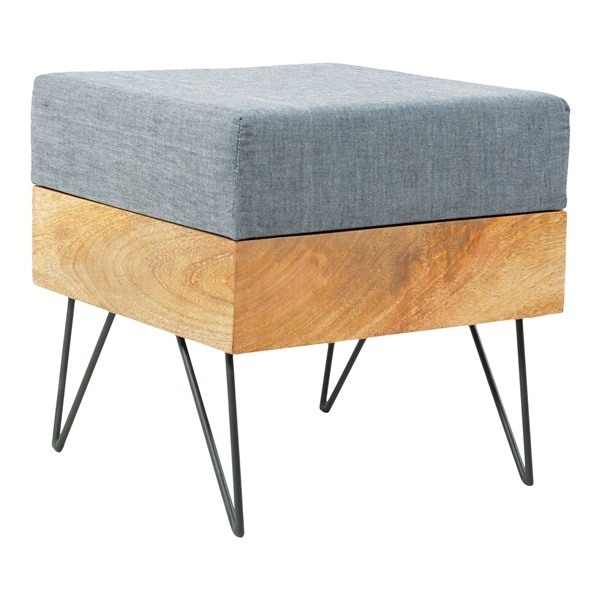 Created to give any room in your home an extra seat or a place to rest your feet after a long day at work, this sturdy ottoman is made to last. It has a cushioned top for a high level of comfort, metal legs for a sturdy base, and a design which can fit into classic or modernly decorated homes. Just imagine placing it into your living room or in your man cave. No matter the room in which you place it, it will make the room more comfortable and relaxing. Comfortable cushioned top makes it the perfect seat or foot rest. Pouf will fit in any d�cor or home.